After one man tweeted that there was nothing sadder than a hot person in a wheelchair, wheelchair users took to Twitter to show that not only were they very comfortable in their bodies, but they thought his tweet was ridiculous. After all, the best way to combat a mistruth is with humour. 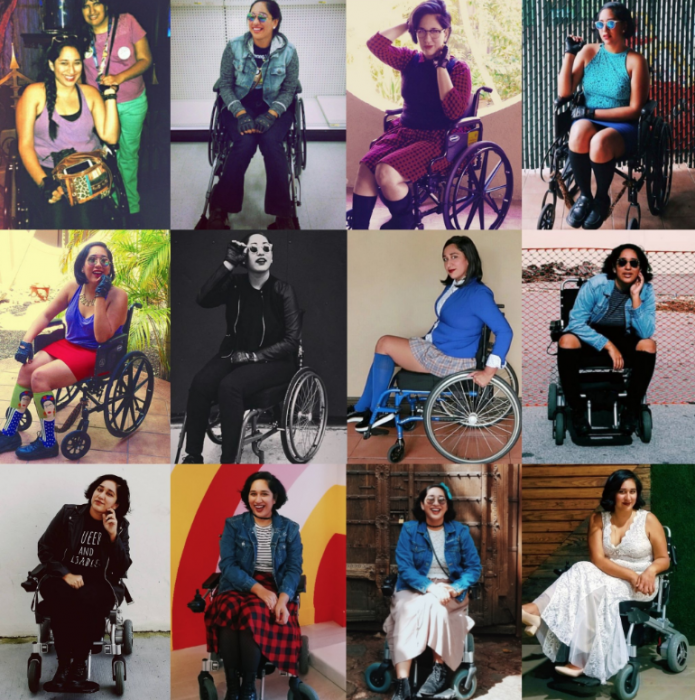 Owning their attractiveness and celebrating their life, the hashtag #HotPersonInAWheelchair started trending on Twitter. It not only gave people a platform, but also dispelled any notions that disability is anything to be ashamed of. "Nothing sadder than a #HotPersonInAWheelchair"
There is still a lot of misconceptions about wheelchairs and wheelchair users in particular. When Stephen Hawking died earlier this year, the internet was flooded with ignorant tweets about how he was now free from his wheelchair. Many wheelchair users pointed out that his chair was a tool that aided his mobility, and that it was offensive to describe it as a prison. Did you call for a #HotPersonInAWheelchair? Another misconception that wheelchair users, or anyone with a disability face is that they aren’t sexual being. Of course, having a disability doesn’t inhibit your sexuality, as we wrote about here. We clearly need to have more education about disability and sexuality from an early age to clear up any misconceptions. But the hashtag filled the internet with pictures of happy, smiling people in wheelchairs. Even the men were joining in and showing off. And some of the tweets were very sweet. Many people, of course, feel self-conscious and embarrassed about themselves, especially if they feel that people may tweet offensive things to them, as often happens on the internet. Hopefully, this hashtag will show people that there is nothing sad about a hot person in a wheelchair. But as the OP, Annie Segarra tweeted later, it’s not acceptable to objectify or festishise people in wheelchairs either. The whole objective of the hashtag was to celebrate and normalise people in wheelchairs. Hey, you know what's fun? There’s no hiding the fact that disabled people are smashing through misconceptions with characteristic sass. 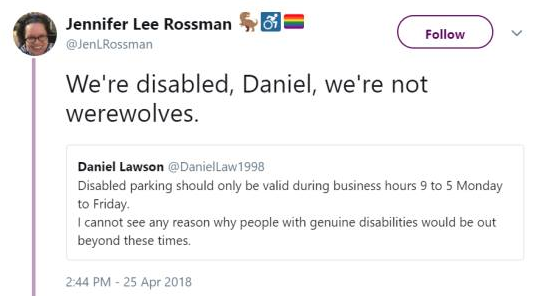 Take Jennifer Lee Rossman, for example, whose takedown of an ignorant person criticising disabled parking – argument won. Be the first to comment on "Fighting ableism on Twitter with #HotPersonInAWheelchair"